Product #26197 | SKU EHBNCSCB | 0.0 (no ratings yet) Thanks for your rating! 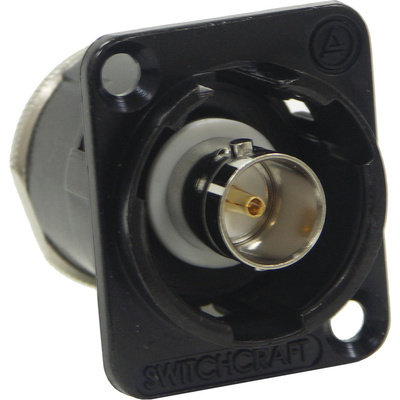 The black EH Series BNC Female to Solder Contacts Connector from Switchcraft is an audio, video, and data-type connector that is in built in standard panel-mount XLR housings. Once mounted, connecting your equipment to the back of the connector is fast and easy.